Thirteen days ago I took the decision to go full on 'no poo'; a process which means I have eliminated all shampoo and styling products from my hair washing and coiffing routines. 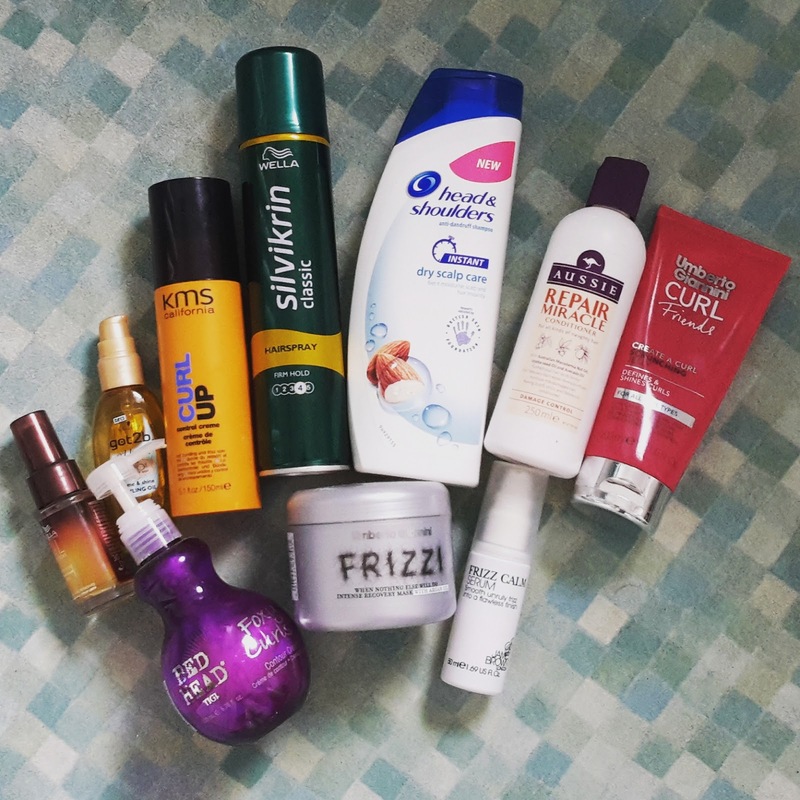 Essentially I am avoiding anything containing sulphates, parabens and other added chemicals that are apparently completely unnecessary in cleaning hair. Let's face it, back in the days of pre-shampoo hair essentially cleaned itself and that is what I'm aiming to do. 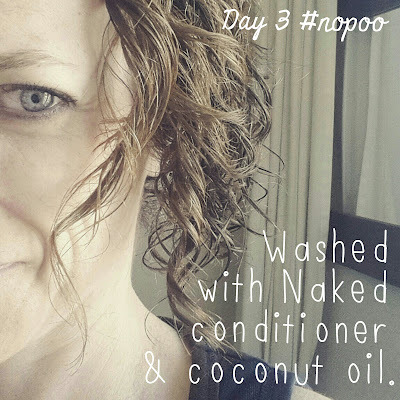 I am going 'no poo' for a number of reasons. 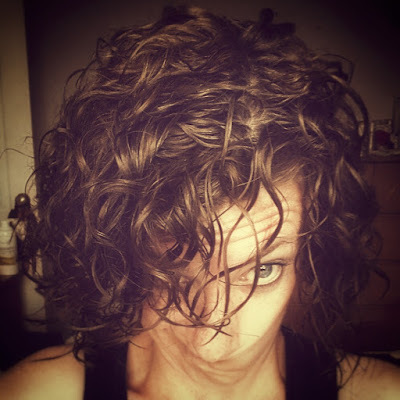 Firstly, I have battled my hair for nearly 40 years now and have never found the definitive routine, shampoo and conditioner or styling product. I have spent a small fortune on shop brands, salon brands, 'eliminate the frizz' brands, you name it and I've probably given it a go. 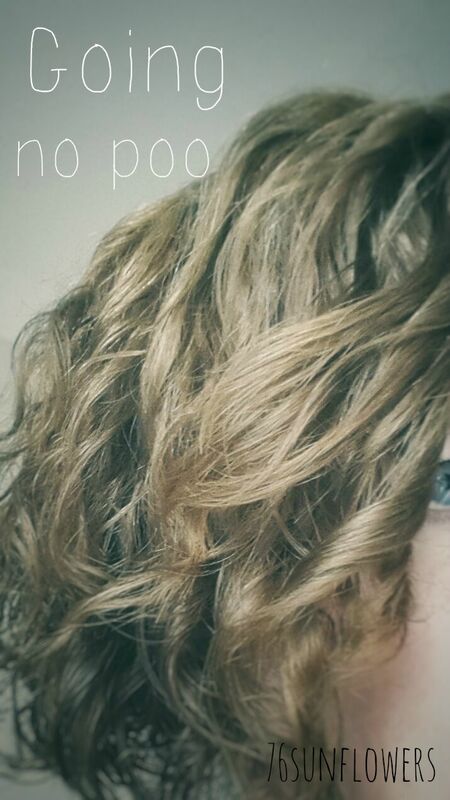 My hair is naturally wavy/curly/frizzy and it has never quite known what it wants to do. I have attempted to straighten it to battle the frizz, have grown it long and had short pixie cuts. For now it is chin length. Secondly, I am starting to think a bit more about the world around me; the world I will be leaving my children in one day, the world they will hopefully bring me grand children into one day. 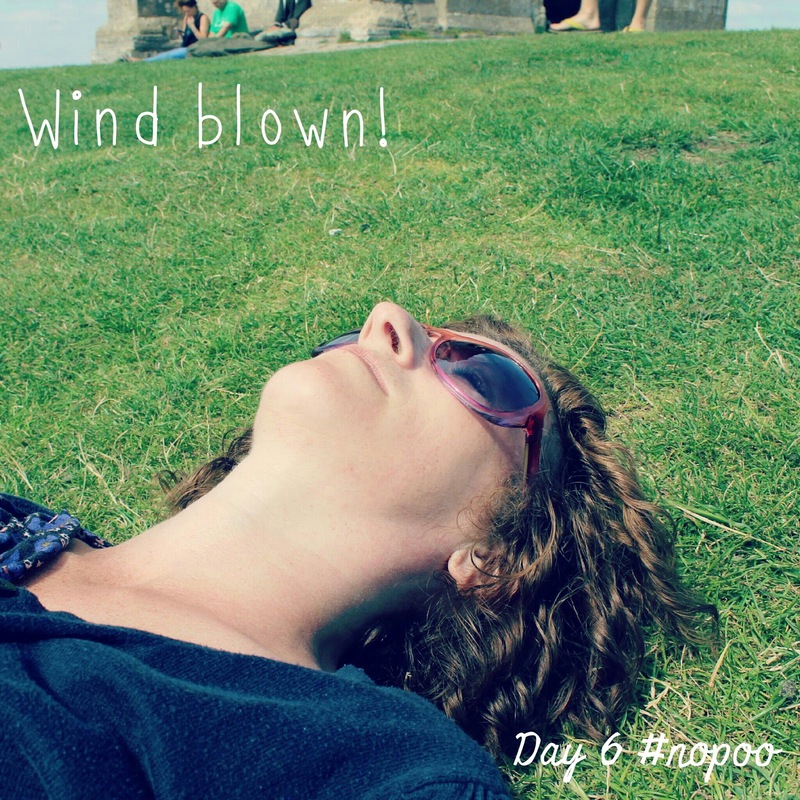 That world is going a little bit crazy and yes 'no poo' isn't going to stop war and conflict, solve world hunger or provide desperate people a home. It is, however, reducing the number of chemicals and crap going onto me, down the water pipes and out to sea. Yes, I know it's only a teeny tiny percentage but it is something. I recently sat and heard a very lovely lady say, "If I can't eat it I won't put it on my body." I have a way to go to be able to say that truthfully myself but I am starting from the top, of my body, down. So, upon my return from the festival I washed my hair. And conditioned it with Aussie products. Slapped on my curling jelly. And styled it with my Wella oil. And this is how it generally looked pre 'no poo'. The curls would hold well for a day but would be unmanageable the next morning requiring more products and the cycle would start again. So, I went for it and wrote it all down. I washed with Head & Shoulders. 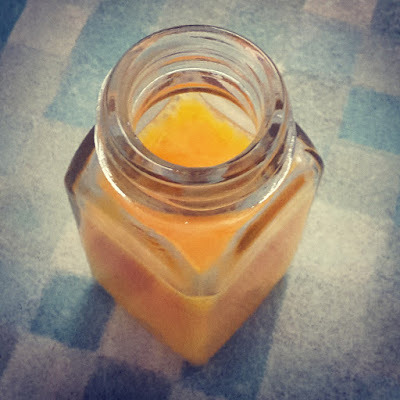 This was needed in order to wash out the parabens and sulphates from the aforementioned products. I conditioned with a paraben free Naked conditioner and I was good to go. Once dry my hair went into its 'I have no styling products on me so I am going to frizz and fluff and drive you mad'. And it did drive me mad. I wasn't that well planned. I had no Argan oil, no coconut oil, nothing to help me. I did have olive oil though and how different can that be?! Through sheer desperation I applied a minimal amount to my hair to kill the frizz and fluff. It kind of worked. I had no plans to leave the house and my friend who popped round didn't think I was that weird. The first glance in the mirror told me maybe olive oil wasn't the best look but the product remained in my hair so I twisted my curls and was good to go. 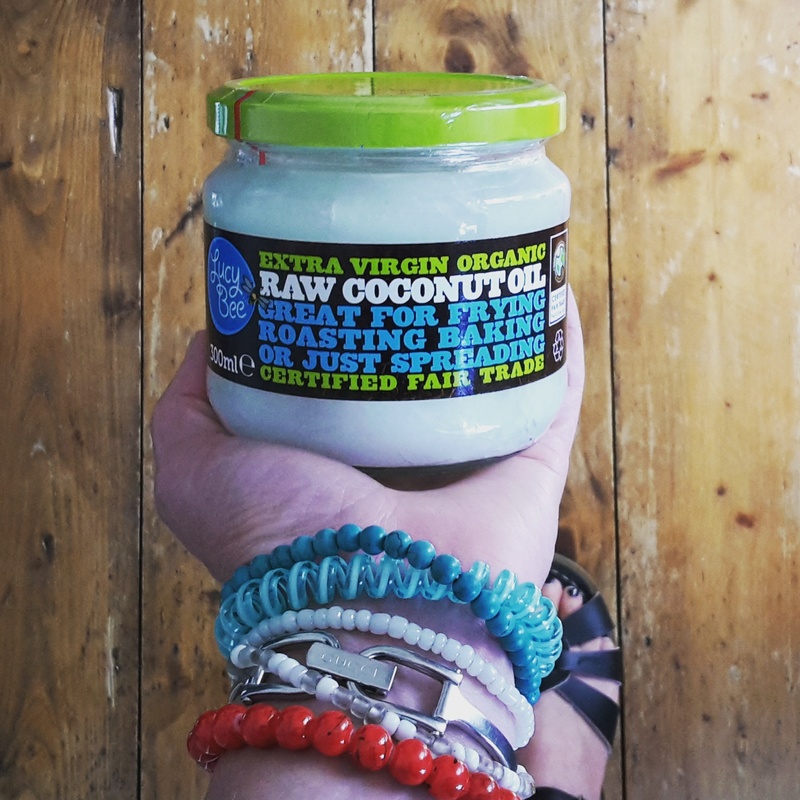 I went to Sainsbury's pronto to buy a tub of coconut oil and ordered some Argan oil online. 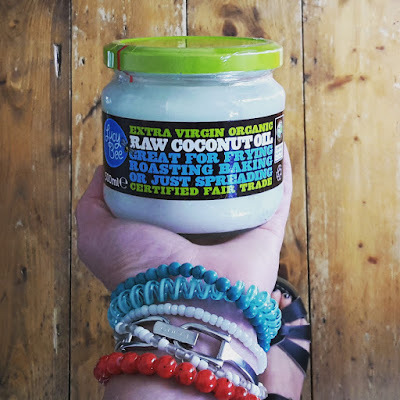 I was off camping today so I washed my hair using the paraben free Naked conditioner then smoothed just less than half a teaspoon of coconut oil through the ends of my damp hair. I twisted the curls and dried with the diffuser and it didn't look too dissimilar to when I would pile on the curling jelly - just less 'crunchy'. My hair looked a little bit greasy through the front this morning - this is a rarity to me. 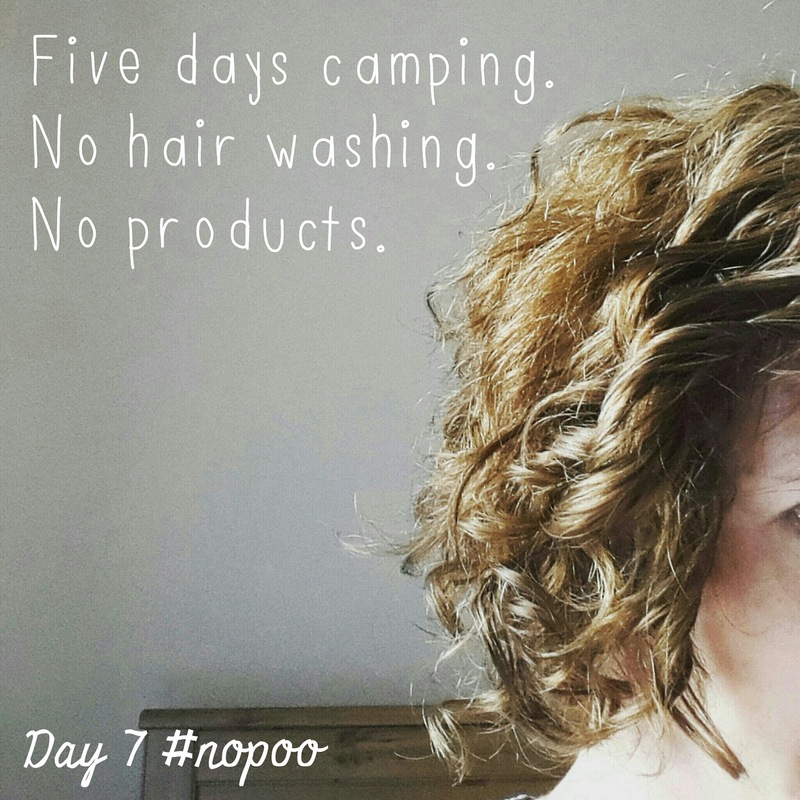 Camping meant I had no products to hand so just twisted the curls through with my fingers and got on with the day. Ditto days 4 and 5 but today we climbed to the top of the Glastonbury Tor where the wind blew my hair through quite vigorously. This not only felt good but seemed to help that greasy feeling! One thing I am noticing is that I have no itchiness and there are no flaky bits of product in my hair. Today we went home from camp and this is how my hair was looking following nearly 5 days of no washing - a record for me! A bit fuzzy round the back but generally, for me anyway, not too bad. I did feel in need of a wash though so attempted something new. Lesson learnt; pouring a beaten egg over your head from a wide mouthed mug will result in most of it hitting the bath floor before your head! Post wash though and my hair was looking its usual self - but without the usual pile of products. Please note that these pictures were snapped not long after drying and my hair is never dried fully so the hair still looks wetter for a while. I just twisted the curls and was good to go - this regime is getting simple! 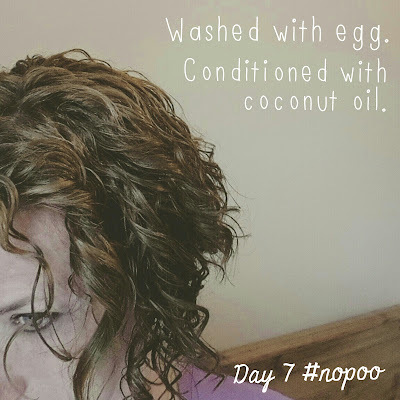 I wanted a hair wash but just used water before the coconut oil. 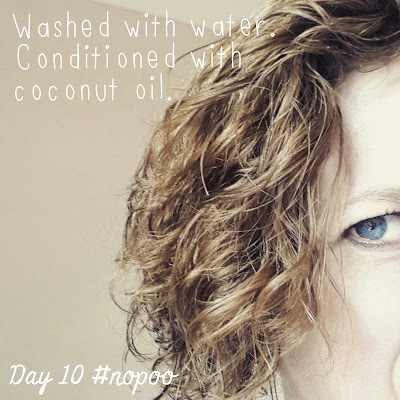 I am wary as I live in a hard water area and a friend found this to be awful on her hair and gave up 'no poo' as a result. The hair was twisted again before diffusing almost dry. Ditto day 11. Tonight though I gave my scalp a massage as it just felt it needed a bit of a rub. 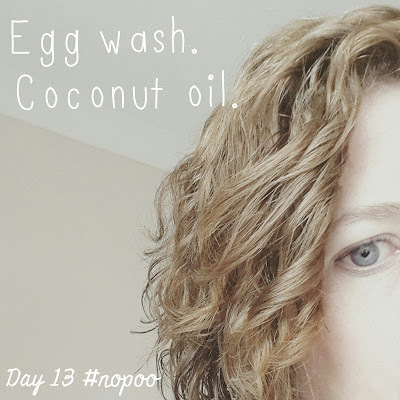 This made my hair go completely messy and it was starting to feel 'heavy' at the roots so I planned an egg wash in the morning. 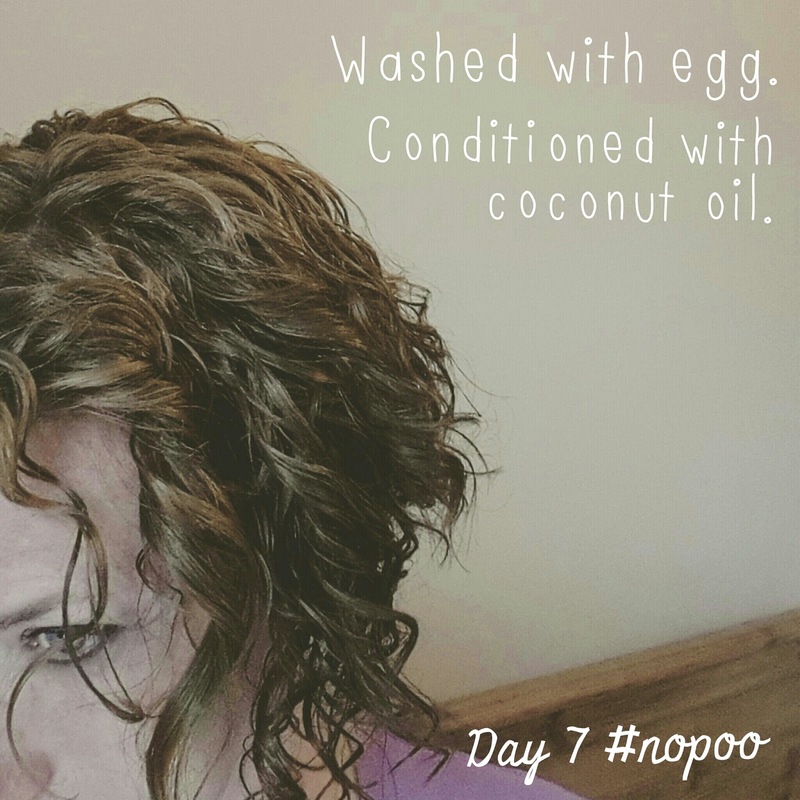 I was better planned today and put my egg into a narrow bottle which enabled me to pour it a bit at a time over my scalp and rub it in and leave it for five minutes before conditioning with the coconut oil. Once it was diffused today it looked 'softer' and less oily. Whether this was due to the better use of egg or just the progression of time I don't know. I will continue with this routine and monitor the condition of my hair and scalp. It seems to be going a little too well and I fear that something major is just around the corner - probably just as I go back to work! Maybe the curls are counteracting the lank feel many straight haired 'no pooers' encounter and I have yet to have an issue with any 'smells' - I do have a bottle of essential oils at the ready should that be an issue! Have you gone no poo? Would you be tempted to? !